Orpington and Bromley Installs - Fascia/Soffits/Guttering based in Orpington, Kent. 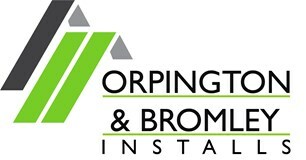 Orpington and Bromley Installs are a family business specialising in uPVC Fascias, Soffits, Guttering and Cladding. We are dedicated to ensuring all our customers are happy and the work we produce is of a high of standard. We have a wealth of experience in the industry and offer Free Quotes. Most of our work is through recommendations so it's our priority to leave every customer satisfied with the work carried out by ourselves. Whether a full replacement or small repair every job is important to us. We only use quality materials all British Standard Approved and Tested. We are based in Orpington and as our company name suggests cover Orpington and Bromley as well as surrounding areas in North Kent and South London. We offer free advice, Non Obligatory Quotes and all our new installations come with a 10 Year Guarantee. Orpington, Bromley, Sevenoaks, Croydon, Swanley, Dartford, Lewisham, Catford, Bexleyheath, Gravesend, South London.